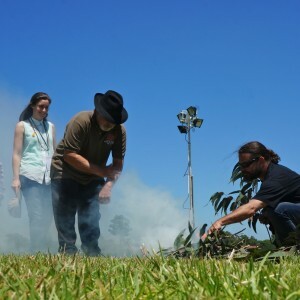 In 2012 the Native Institute Project set out to activate and pay homage to the importance of a site in Australian history that is in many cases forgotten and disregarded. Through dialogue with local community and historians, the Project, led by artist Brook Andrew, revealed the results of six Aboriginal artists who have taken the role as mirrors and finders of a history once forgotten. Their work tackled the difficult tasks of dealing with hidden and disturbing practices towards Aboriginal children and their families which resulted in the inter-generational trauma seen today. 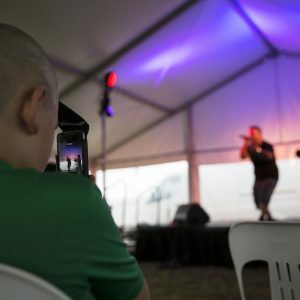 Over three events on the Blacktown Native Institution site, artists Darren Bell, Karla Dickens, Steven Russell, Kristine Stewart and Leanne Tobin collaborated with the community. They worked with local artists and various experts to develop a vision for the future, share and collect stories, and create new artworks. The themes of caring for country, physical interpretations of the site and storytelling were woven throughout the program to help understand the historical importance of the site and lay the path for its future uses. Each event featured a large outdoor workshop area and brought together a combination of artistic, technical and community cultural knowledge and practice. 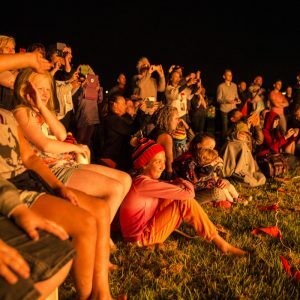 Explore below to find out more about each of the Artist Camps and Corroboree, view artworks, hear from artists and community.